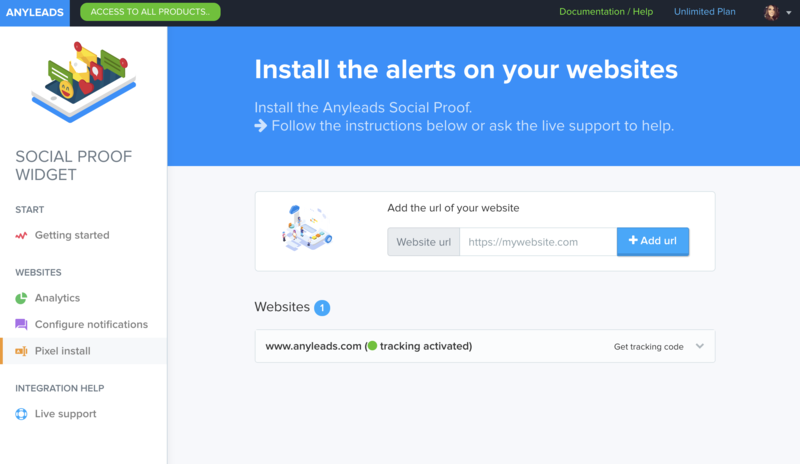 Install the Anyleads Social Proof widget in one click like a Google Analytics tag. 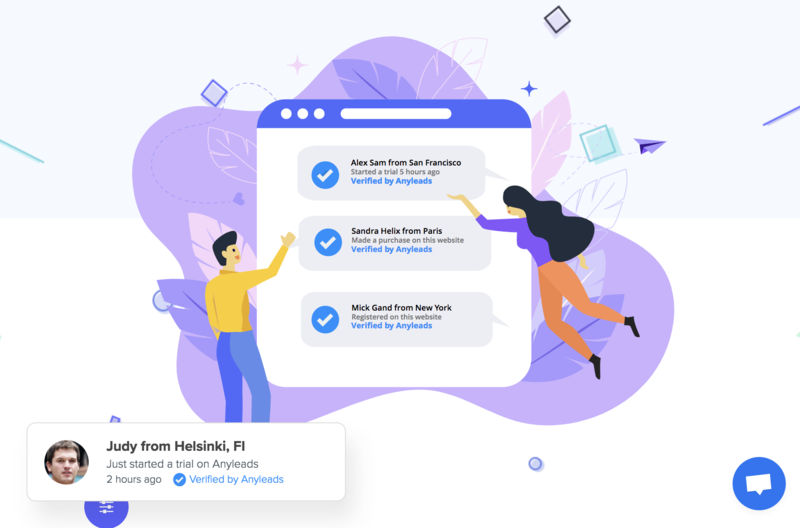 Then start displaying notifications on your website. Add your website into the software to get your tracking code to install on your website. If you need help our customer support team will help you to do this. If you are managing multiple websites, you can add as many as you want. We offer the solution to display notifications on any website you have.